Hairwise is a company specializing in individualized solutions for hair and scalp related problems. Our products are prepared in-house only with natural ingredients. We have devoted decades of passion to carefully select plants, roots and botanical ingredients around the globe. 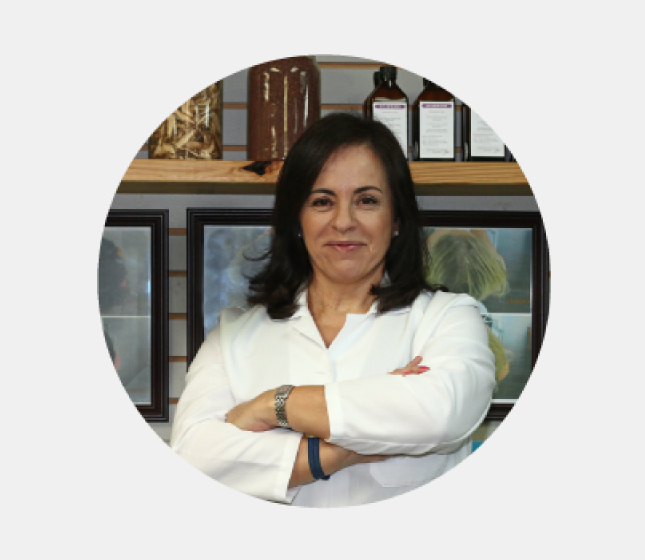 They are the heart of our treatments and the secret behind many stories of success. With our crafted method of maceration, the complexities of natural fermentation and infinite patience we create real solutions for your hair and scalp. * Check out our online store of plant natural based treatments. The Hairwise method and Hairwise Cosmeceuticals Lab brings a revolutionary system for natural hair care into the market, including some of the most powerful tools in the sector to detect hair conditions and the causes for them, that along our plant based hair treatments has changed the life of thousands of people since 1995. We are now offering you the opportunity to join our family and start growing business with us. 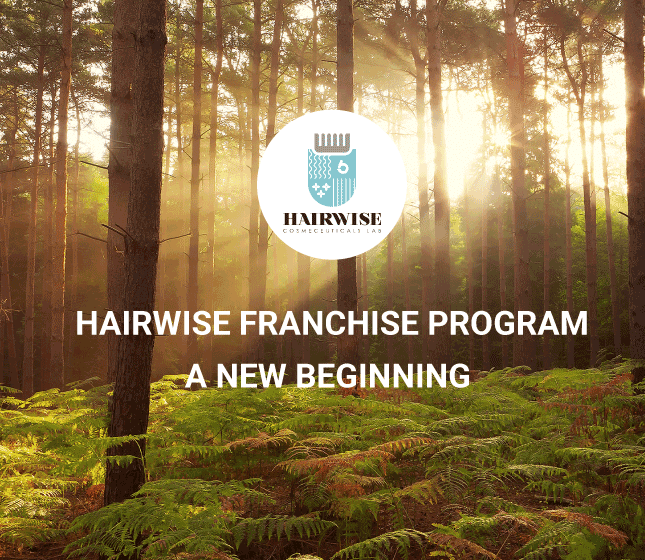 Learn about our franchise program. Let nature remove the chemicals your scalp has gotten used to over the years. It’s time to bring natural balance and long term, real solutions. Supply the exact nutrients your hair and scalp need to stay healthy and free of any artificial or pseudo-natural support. It won’t take long to shine. We thrive on making natural solutions that will make your life easier. Just one gesture, just one minute. It works from the first application, enjoy the results. My experience with hairwise, was very positive. I had a lot of grease on the scalp, staining my pillow. once I started using the product, my hair has improved a lot and I do not have this grease.With a continuous usage, being a natural product, based on plants and flowers I recommend it to people who have problems with their hair, whichever they are. Really glad I came in today! I can tell the doctor is really knowledgeable, and that the product is going to help my situation. They were also both nice to me and my mom! Really happy with the treatment and the attention. Very professional and kind people. Excellent. Truly magical! I’m 20 years old and have suffered with seborrheic dermatitis since I was 13.5 years old and was prescribed many shampoos and treatments which either didn’t work, made my scalp dry or made my hair dry as well as removing hair dye. I found out about Hairwise through my father and as soon as I met the owners (lovely couple) I was captured by how much they actually cared about helping me!! All they want is happy customers. That is their #1 priority. Anyhow, the owner, Almudena, gave me a unique bottle with what would later be my secret to beautiful hair! After just ONE use (sounds unbelievable, I know) my hair had improved slightly. After a whole bottle, I noticed a drastic change in not only my scalp, but my hair in general. I find myself using less products and less time managing. Thank you so much Hairwise. I will continue to use this shampoo and recommend you guys! I have never written a review in my life, but after my experience at Hairwise I feel compelled to do so. I have only been using the product for 1 and a half months, but I see a world of a difference and people are noticing too! My hair was extremely thin and I had a large bald spot at the top…after trying so many products, I almost gave up until I happened to walk by an advertisement for Hairwise. I was visiting from out of town and the owner was so kind to squeeze myself as well as my mother and sister in for a consultation. He did a thorough examination of my hair and even applied the product to my hair so I could see how to properly use it at home. It is clear to see how much these people want to help people. They are driven by giving people good results, not money. Right after I started using the product, I noticed my hair was a lot smoother…after a couple of weeks the hair loss stopped and now 7 weeks into using the product I see many baby hairs growing in! Amazing! I highly recommend this place to anyone who wants better healthier hair. My experience with Hairwise, from beginning to end, has been absolutely wonderful. 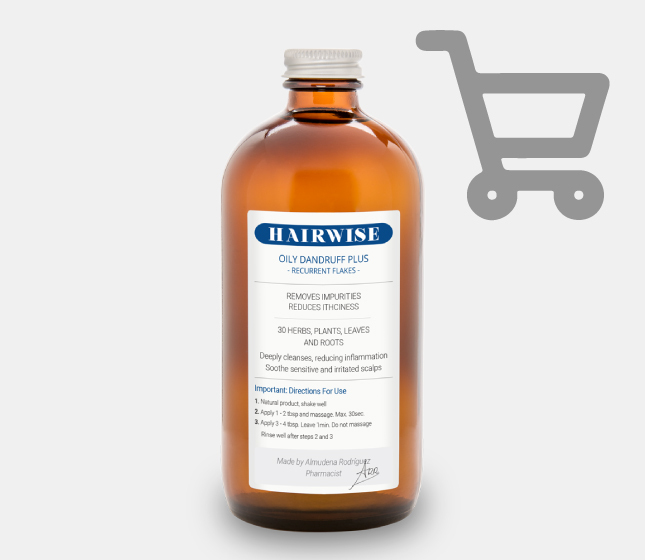 I have been struggling with my scalp and heavy dandruff for about a year and happened to run into Hairwise via Groupon. I visited their Miami based office for a scalp consultation and have done about 3 washes with the Grease Dandruff 100 shampoo. The shampoo has achieved what no previous shampoo has. I don’t have itching anymore, the dandruff has significantly reduced and is expected to disappear after some additional washes , and my hair is absolutely beautiful. I am beyond excited to have finally found a solution to my scalp problem. One plus to the whole experience, Almudena and Marcos (co-owners) are wonderful people and have provided a personalized service beyond my expectations. Throughout the years I have purchased and tried out so many hair products for my hair to optimize its health naturally, but every product I’ve stumbled across has disappointed me. I always try to stick to the most natural approach when it comes to my hair care. I finally found a flyer one day and decided to try out Hairwise. I have to say it’s not your traditional hair salon but I finally found the results and answers I was looking for and I’m very happy! I definitely recommend this place to anyone who wants answers and results and especially a full transformation on their hair! My hair has grown and my natural color has even gotten shiny and healthy due to the natural herbs in the products. All plants that are imported have no chemicals or parabens. It feels great, just come with an open mind and you will be amazed at your results. Hairwise products have improved my hair several times since November 2014. Two aggressive hair colors and 1 keratin session. In November my hair needed a good shampoo. Hairwise is a natural, herb based shampoo. I had sought for the perfect shampoo for many years. Having tried commercial to high end shampoos, my hair and scalp feels right with Hairwise: shinny, with volume, and overall healthy. Still I was tempted to color it twice since November and subject it to a keratin treatment in December. My hair paid the price of course. I continue using Hairwise. I am glad because my hair looks healthy, shinny and alive again. I am definitely sold on Hairwise! It’s a great product! Ladies and Gentlemen, yesterday was my first time trying out Hairwise Hair Research Institute/Salon! I am amazed with this place and that I happened to find it in the heart of Downtown Miami. 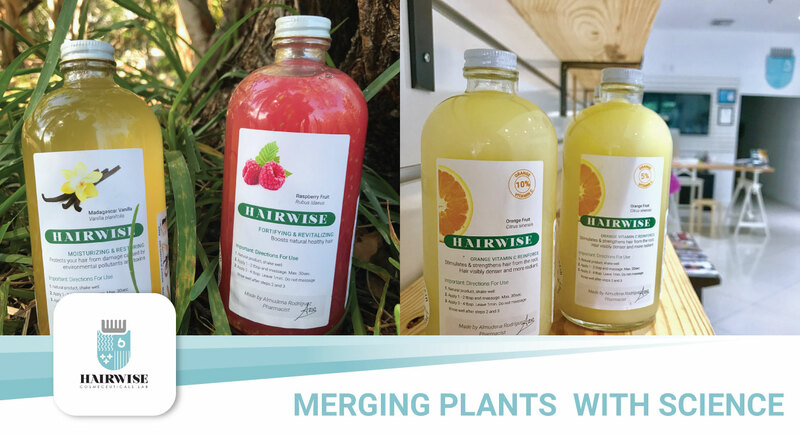 Women and men, if you are looking for natural organic hair products and ways to improve your hair to its optimal health and shine, please try Hairwise. The process is very simple. You make an appointment and then you will have a professional research the scalp of your head and hair follicles with an HD microscopic camera to see the conditions of your hair or any concerns you might have to dry brittle ends, hair loss, slow hair growth, etc. After that they will show you a video of what you can do to better your hair. Then, they begin the process of Hair wisdomm meeting all of your hair needs individually. Every product they hand make themselves will meet your scalp and hair needs. They use natural herbs imported from Europe (not that cheap genetically modified stuff you find in the stores who market false organic products) this is the real deal! I tried it out and I experienced great results in that very same day. My hair felt amazing and looked great. Please, I recommend this place to everyone who wants to take the natural route in improving their hair and scalp. Call them today, THIS PLACE IS TRULY A GEM!! 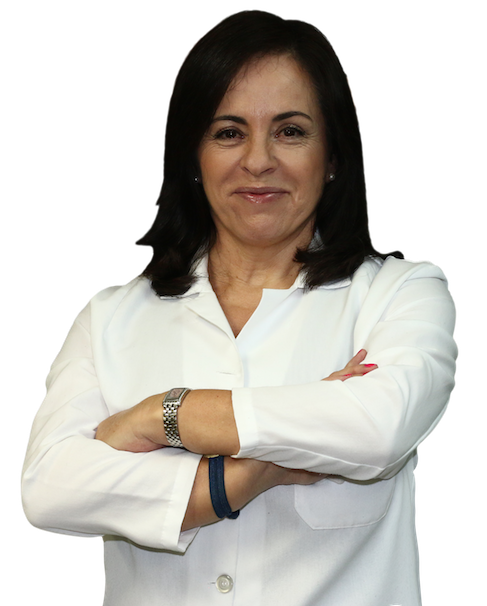 Excellent service, high-quality examination of your head and the doctor was very knowledgeable about hair. I learned a lot and the shampoo solution really does work. I noticed a difference after about 5 days. Your hair feels smooth and properly moisturized. Highly recommended if your head feels dry or you have flakes, even small ones, it takes care of the problem. Your hair grows in thicker too, takes about a month to notice. Inexpensive as well. Once you go there, Marcos will take very good care of you. He really knows what he is talking about. They will prepare a special shampoo with herbs and natural ingredients that will stimulate hair growth. It took a little bit of faith at first, but after one month, my hair stopped falling and new little hairs are growing. This guys really know about hair! The place is very neat and organized and very modern. They will treat you like family. I cannot express enough how pleased I have been with Hairwise and their products and how pleasant of an experience it has been having them at my disposal. Not only do they educate me on the science of hair and scalp, it’s treatment and maintenance, but also to take my needs as their own from kickoff to execution and beyond delivery of my treatment. 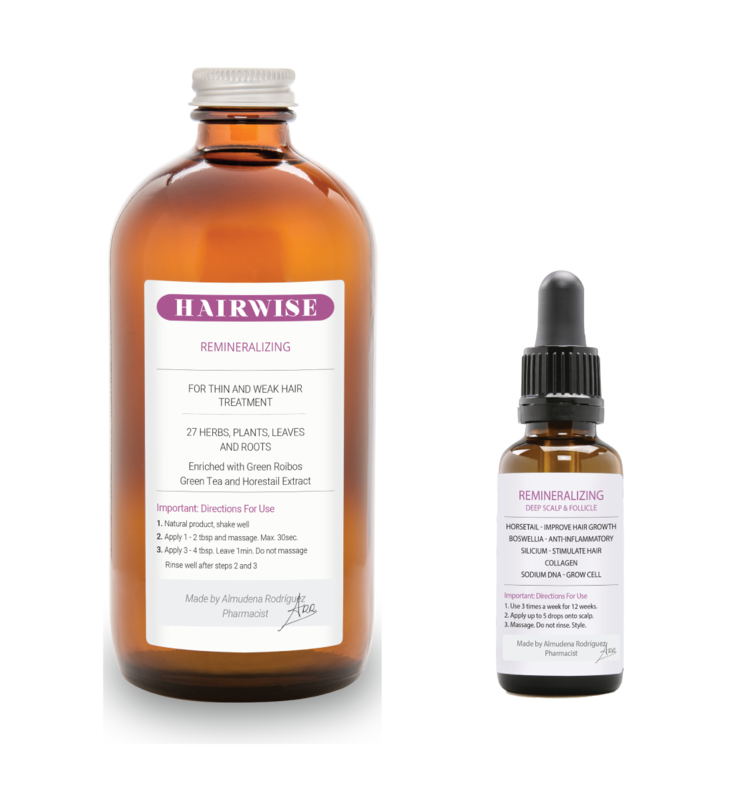 Before being introduced to Hairwise, I dealt with an extremely oily scalp and face by day and extremely dry scalp and a blizzard of flakes by night. In all honesty, I actually had no clue of the severity of my scalp’s condition, so I always shopped the big brands most advertised products, which unlike Hairwise products, are generalized and blanketed and not created for individualized hair treatment to fit the exact needs of their clients. Fortunately, I was referred to Hairwise by a friend who has used their shampoos for some time now. 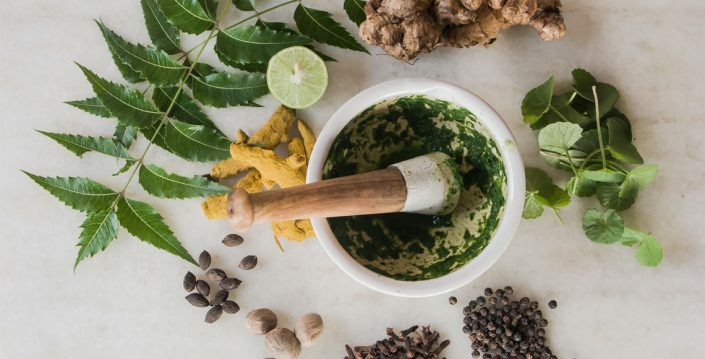 After reading the first few paragraphs about the Hairwise philosophy, I had no other option than to forensically comb through the site because the science, proven methodologies and precision behind the Hairwise all natural ingredients and herbal remedies for treatment became so intriguing to me. Then and there I decided to schedule an appointment with the team to get a better feel of what my problems were indicative of, what’s the true condition of my scalp and hair and how they could actually be of some help to me. I was greeted with such welcoming smiles and comforting embraces that I knew that I was in the right place. After my analysis was done and formula created and used, I was so pleased by the sudden difference in the way my scalp reacted to it and the sudden difference the day following that first use. I was quite dumbfounded actually. I have been a user of Hairwise and an advocate for all natural and homeopathic treatment ever since. THE PRODUCT WORKS – WHOOT -WHOOT IT WORKS!!!!! IT REALLY DOES! In these days, all of us are flooded with advertisements on products that most of the time do not work – at least in my experience; however, with Hairwise, it has been totally the opposite. AMAZING to say the least. The entire process has been carefully designed, from the initial phone call, the lovely (clean organized and nicely decorated office) to the thorough exam of one’s scalp diagnostic and actual product application right on the premises. I have oily and fine hair and worse of all it falls out more than normal. Combine that with this Miami weather – it’s simply a hassle for me to keep my hair looking healthy and nice. So, I went to Hairwise and was greeted and attended by owners and product developers Marco and Almudena. Both were amazing! 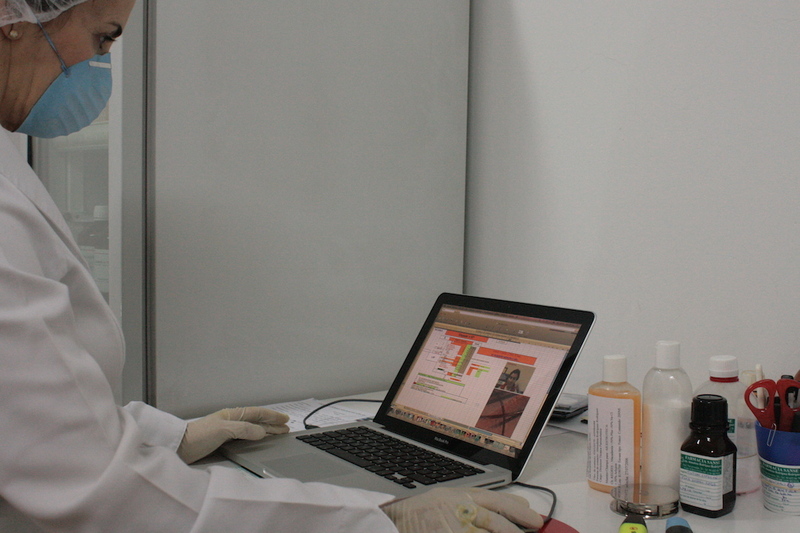 They were kind and took their time to listen to me, analyze my scalp and provide me with a suitable product. I even got to try the product while in my visit, which is helpful as one can learn how to administer the shampoo correctly. Marco explained my situation and the product, its ingredients and in a nutshell my expectations of the shampoo, which even today have been exceeded!! So off I went and in about 4 weeks I started noticing that my hair stopped falling our so much and also my hair grew quite rapidly. The frizz decreased as well. Now I am going on my 4th month using the product and all I can say to all of you is “try it!” It’s great and it works. Another key positive factor is that as I am a busy executive. I travel overseas for work frequently and now I only need one bottle of product rather than previously (shampoo & conditioner + anti frizz). Thanks, Marco & Almudena, for bringing Miami such great product! !